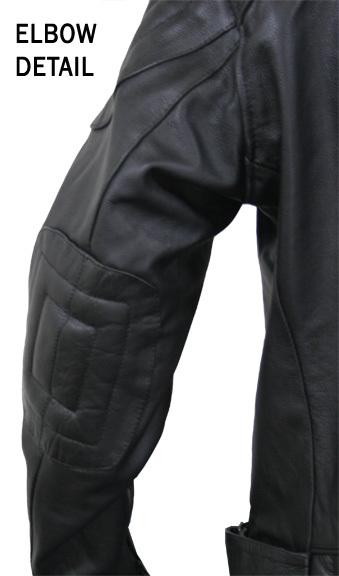 Hit the road in style with this exclusive Padded Scooter Fury Motorcycle Jacket. 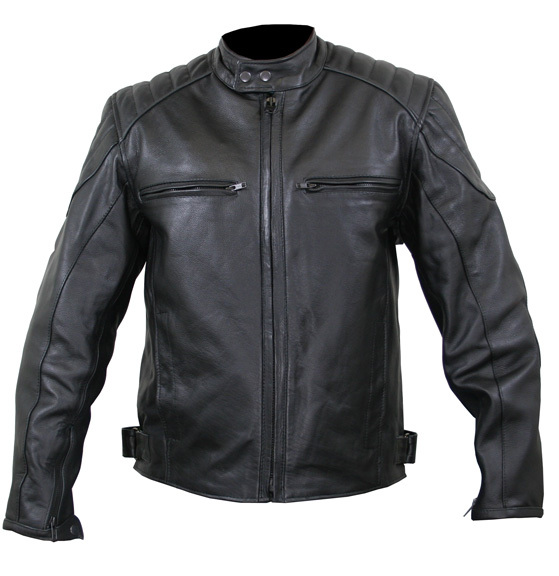 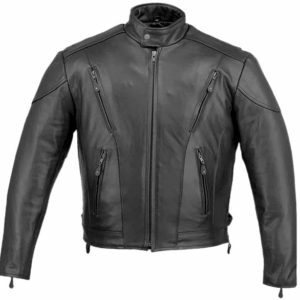 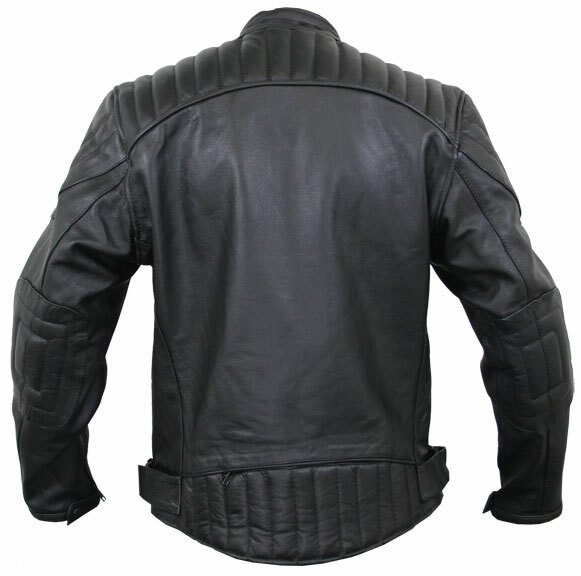 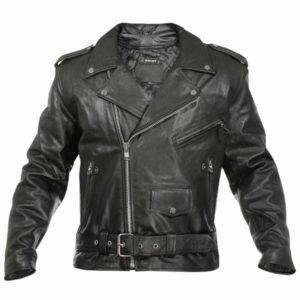 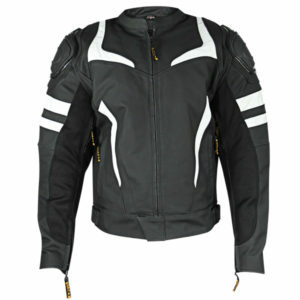 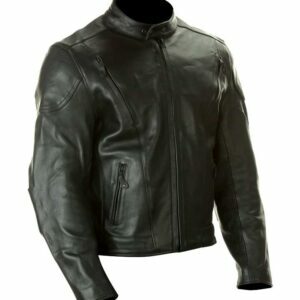 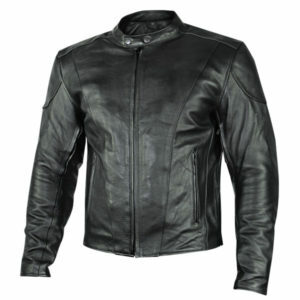 This jacket is made out of soft thick high grade premium cowhide leather and is full of features. 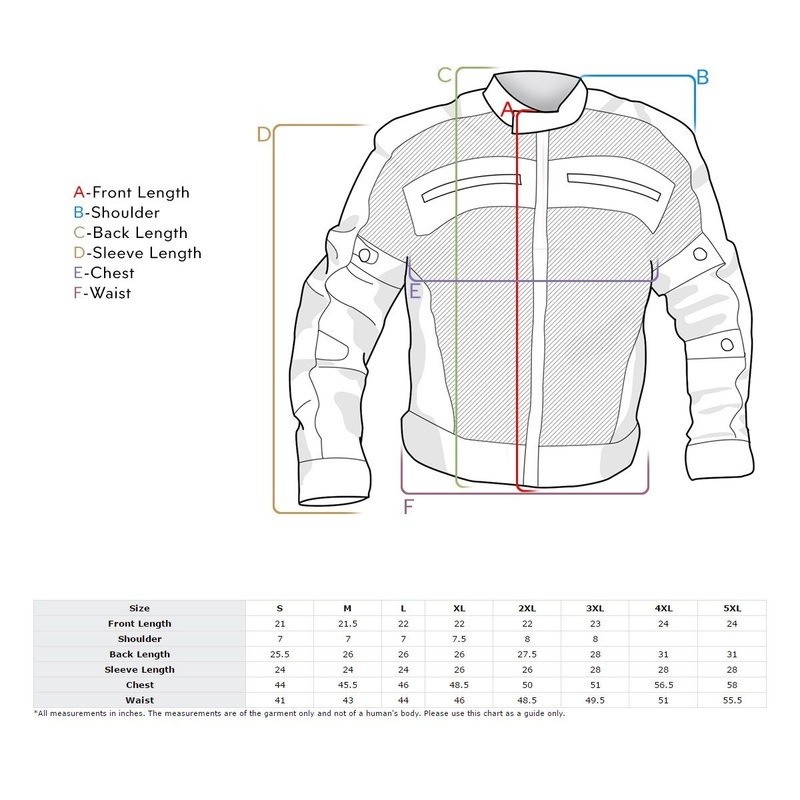 Including A front zipper closure, Two vented mesh chest pockets, Two straight outside side pockets with snap closure, Snap Button cuffs with zipper closure and webbing, Inside pocket on left and right side, Adjustable strap with snap button closure on the left and right hip, A vent on the lower back with zipper closure, Padded elbows, Padded shoulders and upper back, Removable inside quilted liner, and The inside is fully lined with mesh lining.